'The Assassination of Gianni Versace: American Crime Story' has an official premiere date on FX, the network announced Wednesday. Videos 3 November, 2017 . Written by Ciara Mc Grattan. 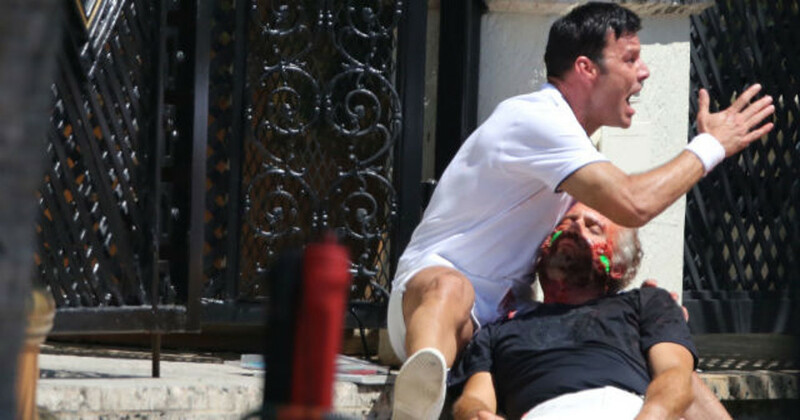 The follow up to last year’s critically-acclaimed, ‘The People Versus OJ Simpson’ will see the anthology series tackle the murder of Gianni Versace. Fashion designer Versace was murdered outside his Miami Beach home by spree killer Andrew Cunanan on July 15, 1997. Cunanan murdered 5 people during a killing spree of which Versace was the last victim. Glee star alum Darren Criss will portray Cunanan, Edgar Ramirez will play Gianni Versace Penelope Cruz is Donatella Versace, and Ricky Martin will play Gianni’s partner, Antonio D’Amico. Update: watch below the new trailer which has just been released. The Assassination of Gianni Versace: American Crime Story will premiere on FX on Wednesday, January 17, 2018. 3 November, 2017 . Written by Ciara Mc Grattan.